Inland Functional Restoration offers a comprehensive, interdisciplinary program designed to assist injured workers, correct disability in patients and reduce the chance that the injured worker will be able to return to work and/or to a productive life. Our approach integrates medically directed physical therapy, occupational therapy, mind-body medicine, psychotherapy and vocational rehabilitation. When pain medications, injections, conventional physical therapy, or orthopedic surgery fail to provide sustained relief from chronic pain, patients often feel stuck and overwhelmed. Activities become severely limited and physical condition deteriorates. Feelings of frustration and helplessness often give rise to depression, anger, and worry. A vicious circle of pain, physical de-conditioning and depression may spiral out of control. These patients often feel progressively worse and more disabled. They, their family, their physicians, employers and insurance providers can feel at a loss of what to do next. Intensive multidisciplinary rehabilitation with functional restoration is demonstrated to be more effective in improving pain tolerance and function than outpatient non-multidisciplinary rehabilitation. Patients who have failed multiple therapies, have changed physicians in search of an answer, who continually receive higher and higher amounts of narcotic medications, have lost hope, are depressed, angry and isolated are considered suitable candidates for an interdisciplinary program. Inland Functional Restoration's program is a 6-week treatment program designed for the chronic pain patient who has not achieved sustained relief with standard levels of care. Participants meet 5 days a week, 6 hours each day for concentrated physical therapy, medical treatment and counseling. 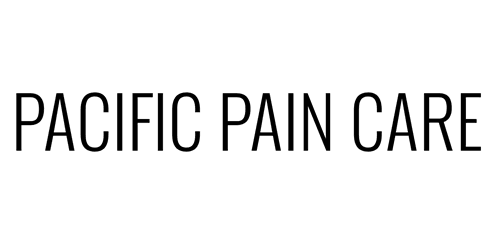 The FRP does not focus on pain elimination. Instead, the program directs patients away from further ineffective medical treatments to approach that emphasizes coping skills and improved physical function, emotional state, and quality of life. If your injured patients have failed conventional treatments and fallen into a chronic pain cycle, they may need early intervention and to be referred to a proper multidisciplinary functional restoration program. Why Use Inland Functional Restoration? Proven cost saving and cost cutting measures for third party payors. Board Certified medical doctor in Pain Medicine. Physical therapist specializing in orthopedics and pain management. PsyD pain psychologist providing mind/body healing. Accurate Diagnostic and Functional Capacity testing in office. An RFA should be accompanied with the physician's report requesting an FRP program evaluation. Please use the enclosed RFA form. Fax one copy of the RFA and report to the adjuster and also to Inland Functional Restoration's staff at 951-268-9516. Inland Functional Restoration will follow up with your adjuster to attempt to get authorization for the FRP evaluation. Once the evaluation is authorized, Inland Functional Restoration will schedule your patient for an evaluation and will send you a report. If deemed appropriate, Inland Functional Restoration will make the request for FRP program participation. In some cases the adjuster will request a new RFA from the referring physician. Should this happen, Inland Functional Restoration will complete and RFA for the referring physician and fax it back to you for a signature and for delivery to the adjuster.